Vivo V1838A TENAA Certified; Full Specifications Revealed - Playfuldroid! The Vivo V1838A is the latest Vivo phone to get certified by the TENAA telecom authority in China. The Vivo is packed specs similar to the Vivo V1829A/T phone that was approved by TENAA recently. The Vivo Vivo V1829A/T is expected to debut as Vivo X27. Compared to the X27, the Vivo V1831A features an inferior processor and weaker camera lenses. Hence, it could be the lower version of the Vivo X27. The Vivo 1838A features a 6.39-inch Super AMOLED display with in-screen fingerprint scanner. It will be a notch-less display that will offer full HD+ resolution and 19.5:9 aspect ratio. The 2.0 GHz octa-core processor powers the smartphone. 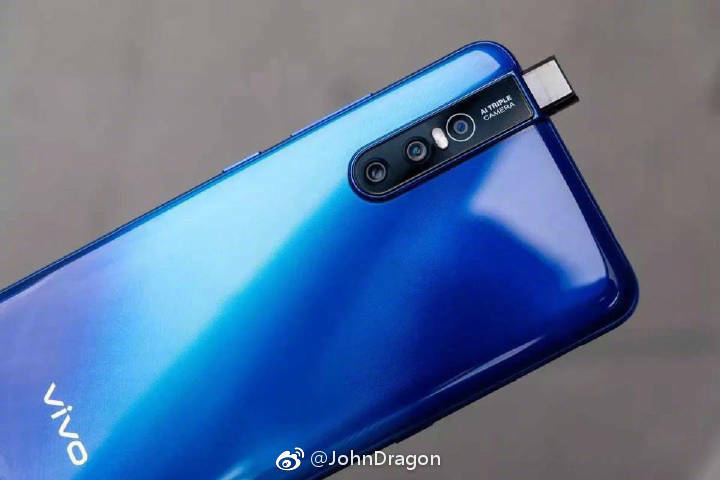 Probably, it could be featuring the Snapdragon 675 that powers the Vivo V15 Pro since the Snapdragon 710 is expected to fuel the Vivo X27. The Vivo 1838A smartphone may include a 4,000mAh battery that will be equipped with support for fast charging. For photography, it features a 16-megapixel frontal shooter and 12-megapixel + 13-megapixel + 5-megapixel triple camera setup. The handset will be available in two variants in China such as 6 GB RAM + 128 GB and 8 GB RAM + 256 GB storage. Its dimensions are 157.66 x 74.26 x 8.95mm and it weighs 188.3 grams. The smartphone will be available in Gold color variant. The handset is expected to get unveiled alongside the Vivo S1 and Vivo X27 models in China on March 19.